Lose that Turkey Neck! 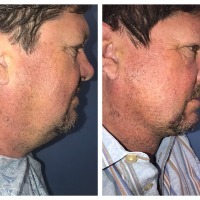 Patients see fast results without going under general anesthesia with the Mini Neck Shrink Lift. People who want spotty fat removed have been at the mercy of lengthy, costly procedures for years. With the Tummy Shrink Lift, patients can get in and out in under an hour. Neck Lift Alternative: Redefine the Jawline During your Lunchtime! Don't Shop for an Aesthetic Procedure -- Buy a Result! If the doctor can't show you dozens of photos of patients receiving the same procedure, go somewhere else! Finally a diet where you don't have to deprive yourself of great tasting food! The Tisanoreica is a weight-loss program based on herbal extract supplements that is hugely popular in Europe. On today's episode of The Doctor's TV Show, a woman with excessive loose skin from her pregnancy is treated with a non-surgical device, the Venus Freeze for skin tightening.